Mumbai, June 6th 2018: UBM India successfully concluded the 6th edition of Concrete Show India, (24th to 26th May 2018) with over 150 Indian and global suppliers and manufacturers from across 10 countries, amidst an industry showcase of products, solutions and services at the Bombay Convention and Exhibition Centre, Mumbai last week. The event had grandeur inaugurations on Day 1 on Day 2 with a presence of key dignitaries — Mr. S. K. Gupta, Director Projects, Mumbai Metro Rail Corporation Ltd.; Mr. S M Ramchandani, Retd Jt MD, MSRDC; Shri Thiruman Archunan, Director Projects, Kochi Metro Rail Ltd.; Mr. Jogen Holst, Director EPTISA Consulting Engineers; Dr. Mangu Singh, President, Tunnelling Association of India and Managing Director, Delhi Metro Rail Corporation Ltd.; Shri S R Tambe, Former PWD Secretary, Government of Maharashtra. ; Mr. V.K. Kanjlia, Secretary General, Tunnelling Association of India and Secretary, Central Board of Irrigation and Power and Mr. Yogesh Mudras, Managing Director, UBM India amidst an august industry gathering. Commenting on the successful completion of the Concrete Show India, Mr. Yogesh Mudras, Managing Director, UBM India said, “Improvement in infrastructure is a necessity for a country like India. With a boost of more than 5.97 trillion for infrastructure in the Union Budget 2018, the sector will witness a huge positive shift in FY 2018-19. A number of policies aimed at removing infrastructural bottlenecks as well as promoting sustainability of resources, have been initiated by the Union Government to further propel the industry’s overall development. 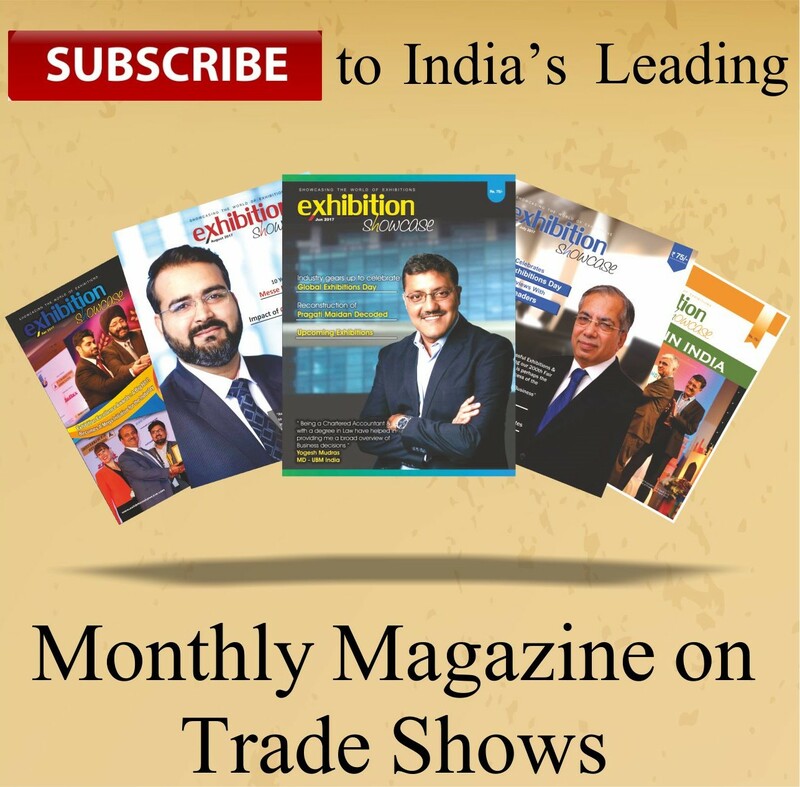 With over 150 exhibitors, a plethora of exciting products on display, support from key government bodies, associations and knowledge sharing, the Concrete Show India provided industry professionals unrivalled business opportunities to congregate network and discuss industry trends, challenges and market insights. The kind of industry response we at UBM India have received towards our 6th edition of the show has been remarkable with a growth of over 30% in footfalls which further validates the potential of this industry.” The Infrastructure and construction industry representatives from HCC, L&T, JMC and throughout the value chain visited India to gain insights pertaining to technology trends and market movements. The expo also included a series of knowledge sessions on day 1 and 2 themed on ‘India’s Modern Infrastructure set in Concrete’. Partnered with the Tunnelling Association of India (TAI), the technical conference on Day 2 saw sessions on ‘ Experience and Lessons learned from the past with regards to Road, Rail, Metro, Tunnel and Bridge Projects in India’ ; ‘Ensuring Quality, Durability and Lifetime Expectations of Modern Infrastructure. Projects-Contractor’s perspective’; ‘The use of Concrete in Modern Infrastructure Projects – The Aesthetic point of view.’ Day 2 witnessed sessions on ‘Sustainable Concrete Technology for Tunnels and Bridges’; ‘Concrete Technology and Durability Design’; ‘Concrete for Tunneling and Bridges’. The elite list of speakers included Mr S K Gupta, Director Projects, Mumbai Metro Rail Corporation Ltd, Mr. Thiruman Archunan, Director Projects, Kochi Metro Rail Ltd; Dr. Mangu Singh-President Tunnelling Association of India and Managing Director Delhi Metro Rail Corporation Ltd.; Shri S.R. Tamb-Former PWD Secretary, Govt. of Maharashtra; Mr Santosh Rai, Head Transportation Sales, Hindustan Construction Company;Mr Giridhar R , Executive Director (Technical), Afcons Infrastructure Ltd; Architect Hiten Sethi among others. The show was marked by industries players like Ultratech, Putzmiester Concrete Machines, Godrej Construction, Cimem Construction & Enviromental Engineering Pvt. Ltd., Chowgule Construction Chemicals Pvt. Ltd., Masa Concrete Plants India Pvt. Ltd., Elematic India Privite Limited, Sany Heavy Industry India, Columbia Machine Engineering (I) Pvt. Ltd., Prism RMC, PERI, Hitachi Koki, Maxmech Equipments pvt. Ltd., Aimil Ltd., WAM India Pvt. Ltd., RDC Concrete (India) Pvt. Ltd., Ajax Fiori Engineering (I) Pvt. Ltd., SURIE POLEX, Fairmate Chemicals Pvt Ltd., J.K.Cement and MC-Bauchemie , Aquarius Engineering amongst others. The expo was well received by the industry at large with support from Maharashtra State Road Development Corporation (MSRDC), Maharashtra State Road Transport Corporation (MSRTC), Indian Chapter of American Concrete Institute (ICACI), Singapore Concrete Institute (SCI), Tunnelling Association of India (TAI), US-India Importers’ Council (USIIC) and Mumbai Metro Rail Corporation Limited (MMRC).